Programming is the process of creating a set of instructions that tell a computer/bot how to perform a task. With this Learn Path, we are going to learn about various programming tools/languages which can be used to tinker and make. 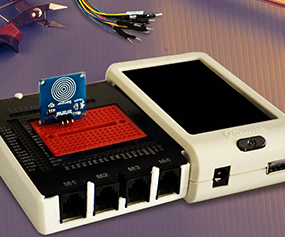 It includes modules like Scratch, AMS, Robo G3, Arduino IDE, etc. Circuit making process covers the designing of simple electronic systems. Through this module learn about basic electronic components and making circuits using 555 timer IC. Avishkaar E-Series X brain is an all in one electronic development board. 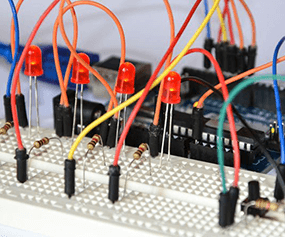 Powered by an ATmega2560 microcontroller, it has over 40 digital pins and 4 analog pins which allows the user to connect a wide variety of sensors in a single project. It also has an inbuilt breadboard for easy prototyping. It also comes with an inbuilt WiFi module making it IoT enabled. The brain can be easily programmed using Avishkaar Maker Studio. 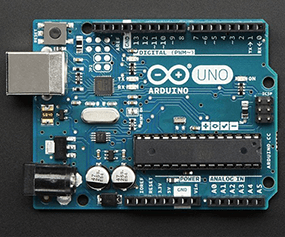 Arduino UNO is an open-source electronic development board powered by an ATmega328P microcontroller. It has 14 digital pins and 6 analog pins, and programmable with Arduino IDE. A wide variety of shields are available for this board making it very versatile. Understanding of open source hardware. Difference between analog and digital signals. Understanding different types of sensors. Rapid prototyping Understanding of open source hardware. Difference between analog and digital signals. Understanding different types of sensors. 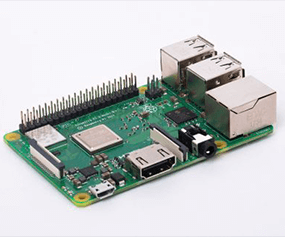 Raspberry Pi is a small single-board computer. It has inbuilt WiFi and Bluetooth making it ideal for IoT projects. Model 3B+ comes with a 1.4 GHz processor and 1 GB RAM. It uses an SD card for storage purposes. Single-Board Computers. Basic python programming. Understanding Scratch Software. Hardware and software integration.